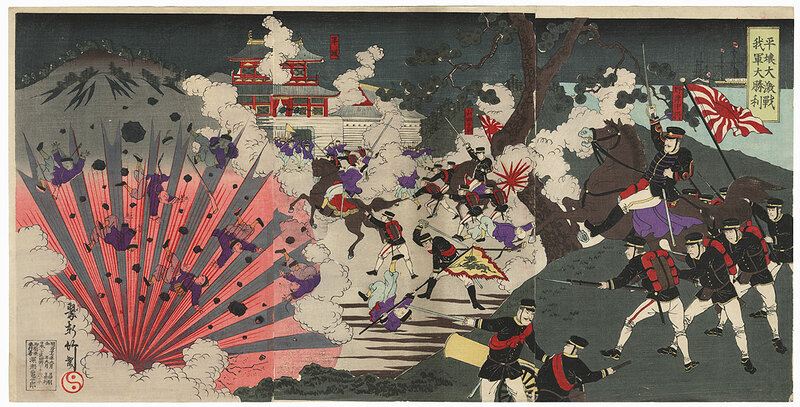 Senso-e - Senso-e are prints depicting wars, most often the Sino-Japanese War of 1894 - 1895 and the Russo-Japanese War in 1904 - 1905. Primarily triptychs, these images filled the journalistic need for illustrations of current activities on the battle front, but also acted as propaganda, encouraging support for the wars and fostering patriotism. These prints emphasized the bravery and success of the army and navy, using dramatic designs and bold compositions, with customers eagerly purchasing the latest prints. 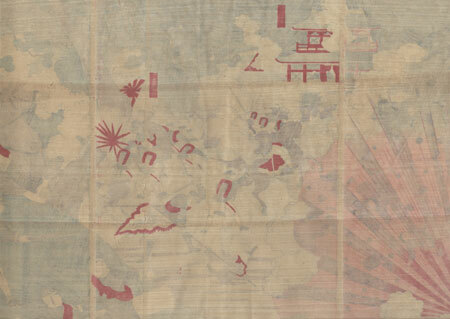 Some famous Meiji era artists did senso-e, including Kiyochika, Chikanobu, and Gekko. 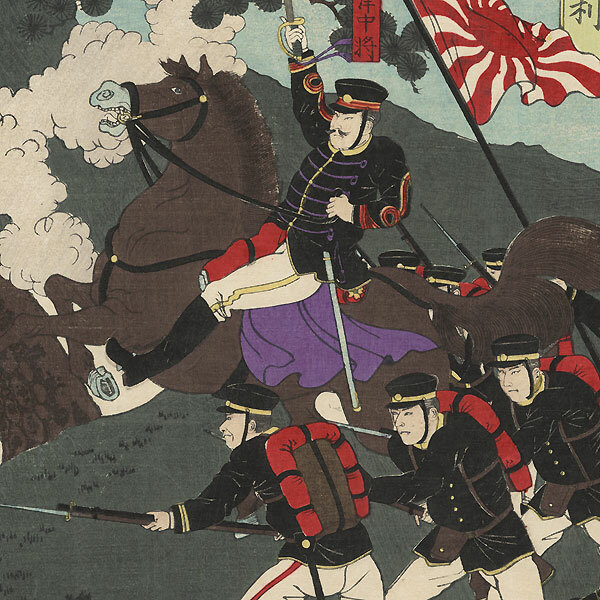 By the time the Russo-Japanese War came around, woodblock prints had fallen out of favor due to competition with photography and lithography, so fewer designs exist from this time period as compared to the Sino-Japanese War. Condition - This print with excellent color and detail as shown. Three attached panels, backed with paper. A few marks. Please note: due to the size, this print may be shipped rolled. Please see photos for details. Good overall.